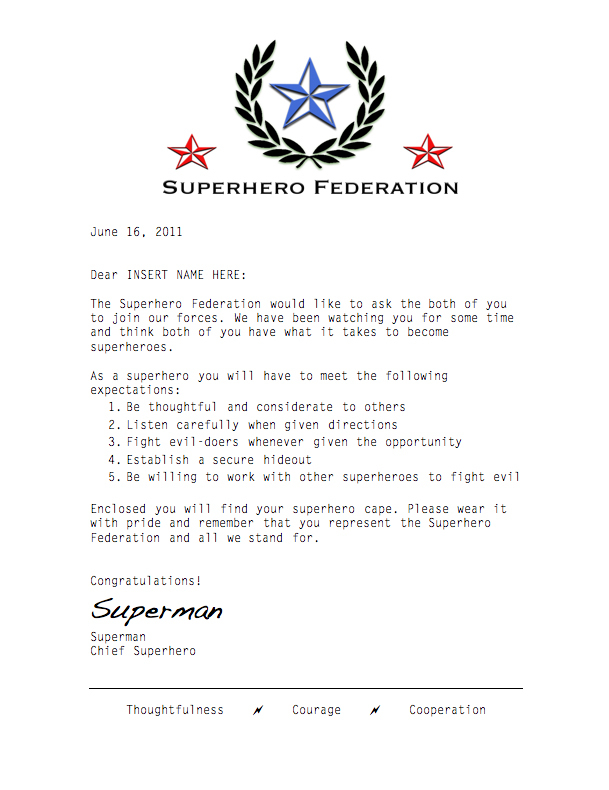 Tots and Bottoms: The Superhero Federation Wants You! They must think you are the best aunt ever! Thanks for sharing the letter. I'll be saving it or when my own nephew is old enough.